Galaxy clusters are large groups of galaxies, where thousands of galaxies and multiple galaxy groups can be held together by gravity. The local group of galaxies consists of about fifty galaxies. The largest members are the Milky Way and the Andromeda galaxy, or M31. The closest cluster is the Virgo cluster. 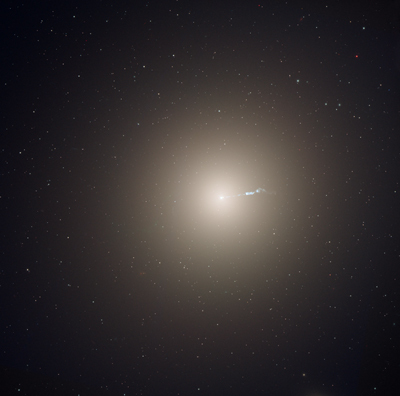 A giant galaxy, known as M87, is at the centre of the cluster. 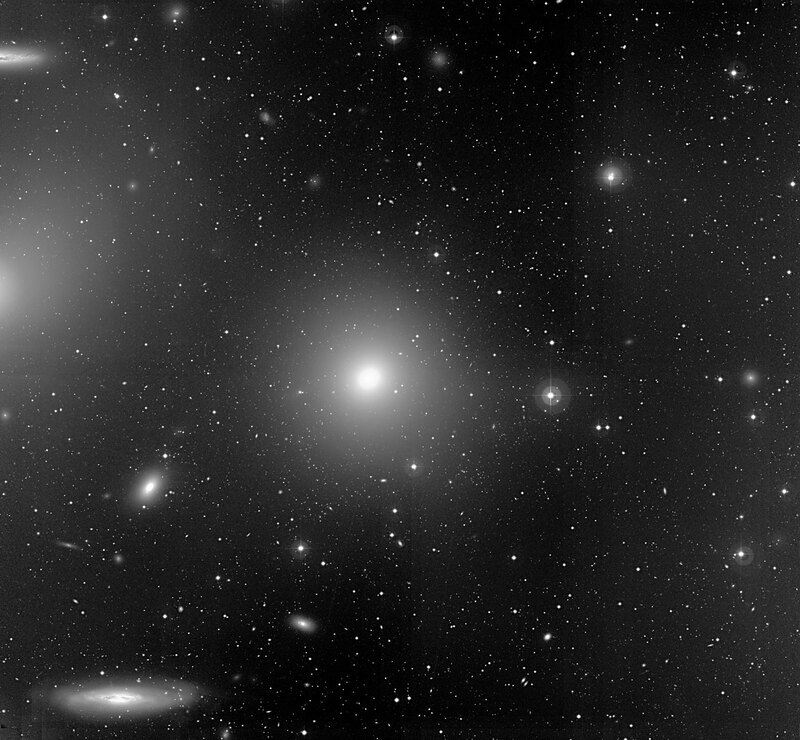 M87 is a large elliptical galaxy, one hundred times more massive than the Milky Way, and located about 54 million light years away from the Milky Way. With a telescope, one can clearly see a 5000 light year-long jet coming from the galaxy. The jet is powered by the black hole at the centre of the galaxy. In the Virgo cluster, there are about 2000 member-galaxies of all shapes and sizes.